FORT LEE, NJ – (Thursday, March 28, 2019) — A new partnership between the College Football Playoff (CFP) and Sports Systems, the industry leader in online accreditation for collegiate and professional organizations, will provide a new standard for collecting and managing data for premier events. Sports Systems has been a key partner with the playoff since its inception in 2015. In its enhanced role as the official credential data collection provider of the CFP, it will provide online systems to manage operations, team lists and hotel data collection in addition to the entire media suite (accreditation, mobile app, check-in tool) it currently provides. “Sports Systems has been a trusted associate for media operations at bowl games and the CFP for many years,” said Bill Hancock, executive director of the College Football Playoff. “We have appreciated the data-collection system, coupled with the ability to translate that information to life. Security is important to us—and to Sports Systems. The new and elevated online services and data management for the CFP will become the model for any premier events, leagues or organizations to make the credential process more efficient, which means staff time and cost savings and a better experience for event organizers and those requesting access. Sports Systems is at the forefront of online accreditation for its unique combination of expertise in technology and data management, staff experience in the sports industry, and superior customer service. In the college sector, in addition to the CFP, Sports Systems provides its suite of services – media, operations, guests, tickets, registration – for all NCAA Championships, 36 college bowl games, 25 college conferences, neutral-site basketball tournaments and football games, and more than 50 colleges and universities. 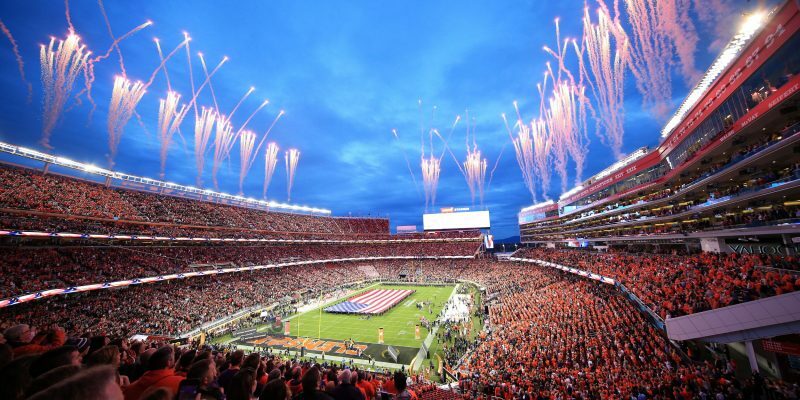 Sports Systems works with more than 3,000 events annually to provide custom online solutions that streamline event information gathering and data management for the world’s leading sports and sponsorship organizations, including the Olympics, FIFA World Cup, Super Bowl, MLS and F1. Based in Fort Lee, N.J., and founded in 1986, Sports Systems has been a fixture in the college industry for more than 25 years, evolving into today’s full-suite sports data management system that simplifies the lives of teams, leagues and events throughout the world. Remaining true to its core, Sports Systems is focused on two things: creating solutions to common inefficiencies in the sports world through new technologies and making our existing technology robust, scalable, and customizable. Visit www.SportsSystems.com for more information. Custom online solutions that streamline event information gathering and data management for the world’s leading sports and sponsorship organizations.